Chilaquiles – Just For Sybarites! Many are amazed by how incredibly large Mexican breakfasts can be! Here I feature one of the greatest inventions ever. Easy to prepare, easy to convert into a vegan dish, delicious to enjoy and perfect for a nasty hangover. It is hard to trace the invention of such dish. Many say it was a good way to use left over trimmings of tortilla but how they mutated into what they are now? 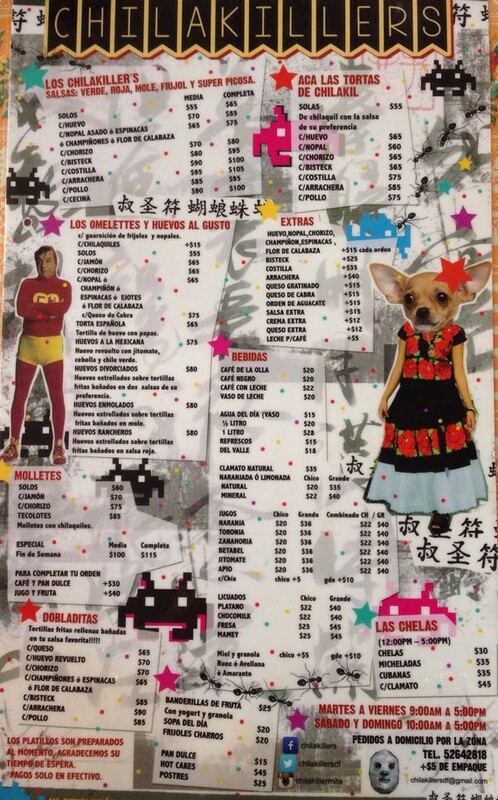 This remains a mistery. 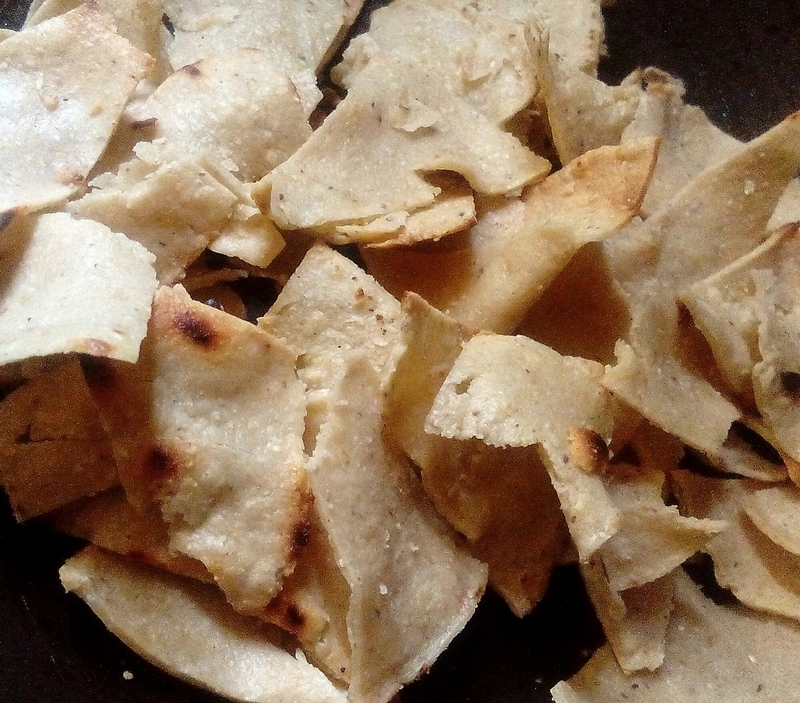 The important part is having the tortilla chips fried on the spot so that they remain crispy while mixing with the sauce. The traditional sauces to use are green tomatillo or red tomato but in many places they also use mole. 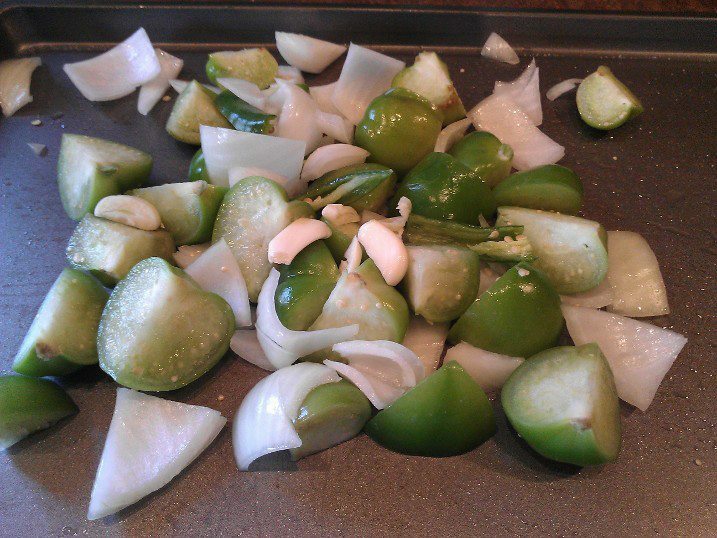 For a green sauce use: green tomatillo, onion, garlic and chili. In many places you will have the option of adding shredded chicken into your dish, but there are many other options such as scrambled or sunny side up, flank steak, cecina and more. The greatest part on this dish is that without any protein it can remain vegan! Add some thyme, marjoram and bayleaf to your chicken while boiling for better taste! 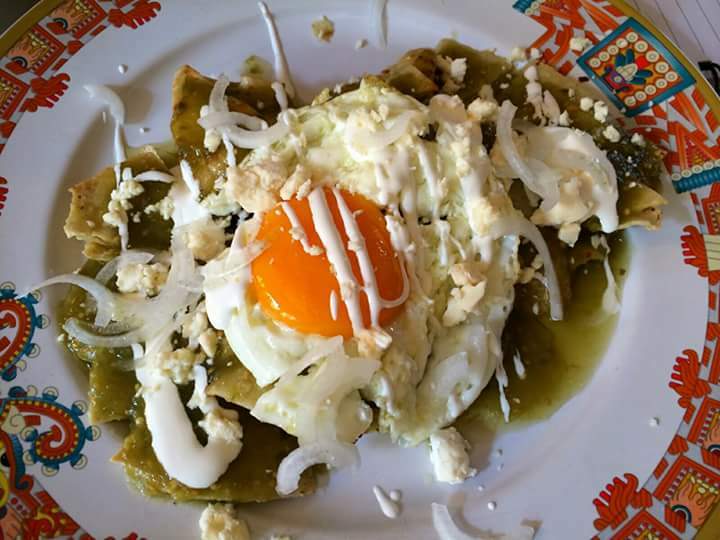 For more ideas on what to add to your chilaquiles, check out the menu from Chilakillers, a famous restaurant in Mexico City that specializes on this dish..
4.- In a pan, put the tomatillos or tomatoes cut in 4rths with the onion roughly chopped, the garlic and the chili sliced. Make sure you keep a little onion thinly sliced for the final decoration. VEGAN: To have vegan chilaquiles simply switch the broth in step number 6 for water and skip the dairy at the end. You can top your chilaquiles with sauteed mushrooms, cactus and more. Next Post Marmelades n’ Jams!